Time seems to float by as you look out over the waters of the Naruto Strait, where the beautiful sunset will linger in memory long after the sun sinks over the horizon. 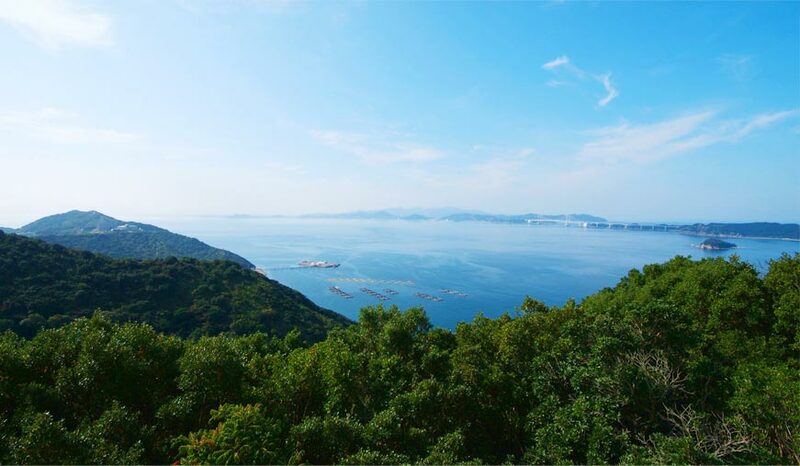 Surely such scenery can only be found here in Awajishima. But the island holds not only a feast for the eyes; in an enchanting combination of Western and Japanese-style, the chefs at Plaza Awajishima carefully craft some of Japan`s finest cuisine with locally-caught fish and locally-grown produce.Southern Awaji is also home to one of Japan`s finest onsen, where natural spring waters with skin-enhancing minerals envelope you in a warm embrace. 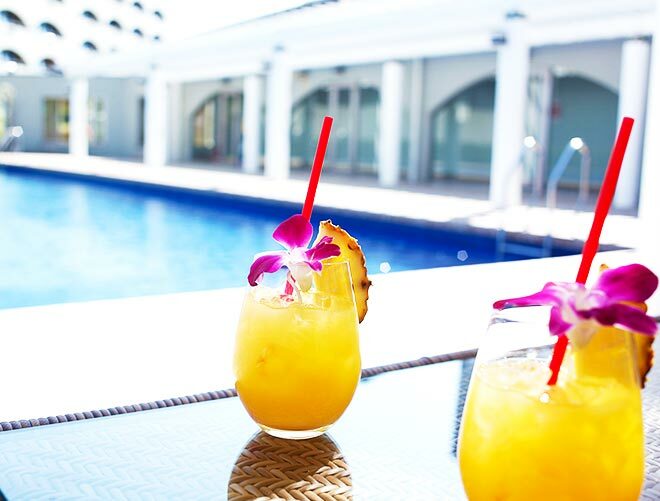 You can be assured an unforgettable, top-class holiday in this island paradise. 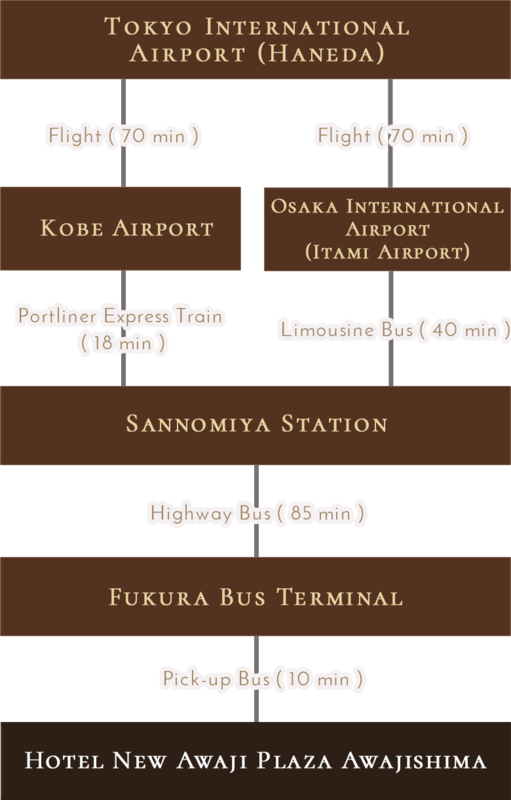 Here at Plaza Awajishima, we have 83 rooms of all types to fit any traveler`s style. Please choose the best one for your journey. 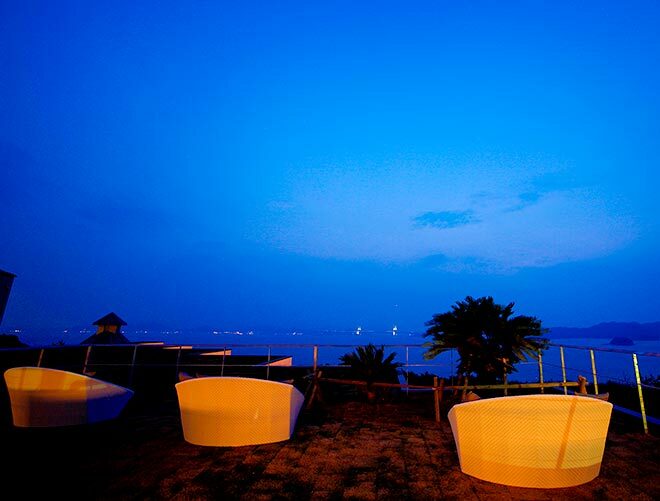 "A Villa Just for You" Overlooking the Naruto Strait, each room in the SOLA Villa has its own private outdoor bath. 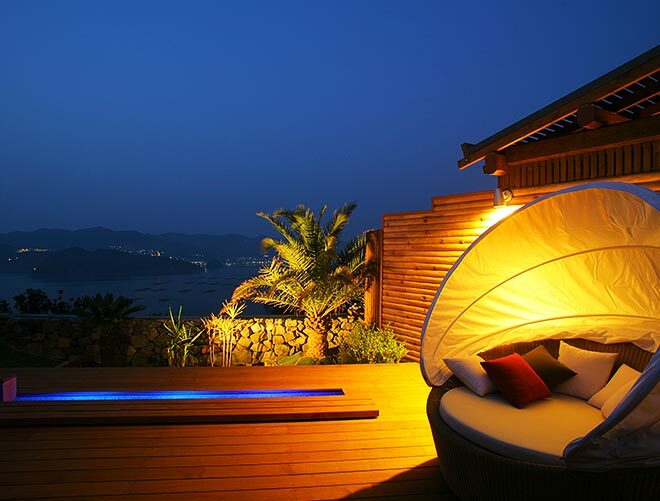 Relax in the comfy chairs in the private terrace and enjoy watching the sunset over the Seto Inland Sea. Feel time slow down just for you. ※Area in parentheses is the bath and terrace area. including suite rooms that offer luxurious amenities like a home theater and king-sized canopy bed. 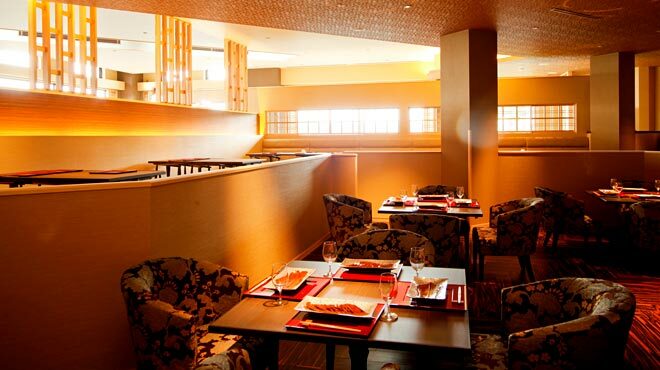 to your stay with Western-style rooms infused with Japanese sensibility. Shiozaki Onsen, where countless travelers have refreshed themselves in its healing waters, is the pride of Southern Awaji`s Ama area. its waters contain sodium and bicarbonate ions that leave skin feeling healthy and refreshed, and its slightly alkalized waters draw impurities from the body. Bathers are warmed body and soul and leave with squeaky clean, radiant skin. Yubae no Yu is an outdoor, open-air bath that overlooks the Onaruto Bridge. Guests can soak in the healing hot spring waters while enjoying a view of the bridge or the stars laid out in the heavens above. 5:30 - 10:00 / 12:00 - 24:00 ※10:00 - 12:00 is cleaning time. 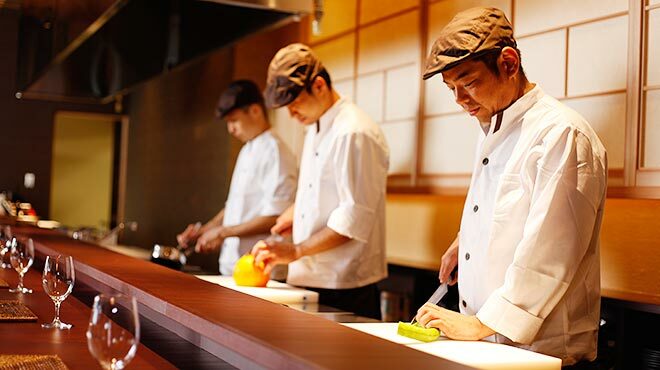 At Plaza Awajishima, our chefs strive to use only the freshest ingredients, with most vegetables and produce coming from within 30km of the hotel. 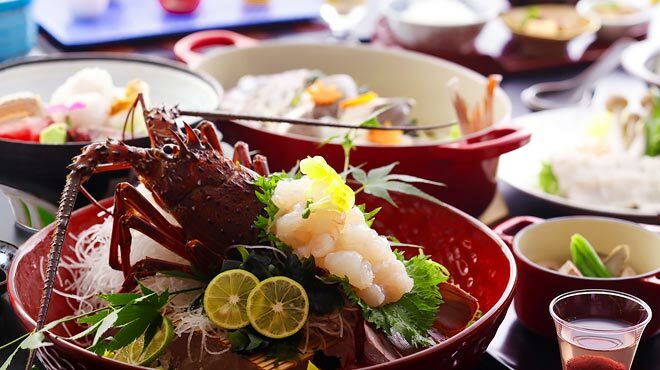 Awajishima is also blessed with abundant bounty from both the land and sea, with freshly-caught seafood and local meats. 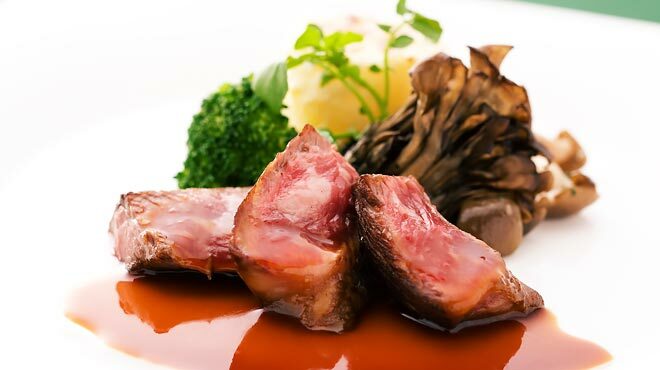 Guests can have the full gourmet experience of everything Awaji has to offer right here at Plaza Awajishima. 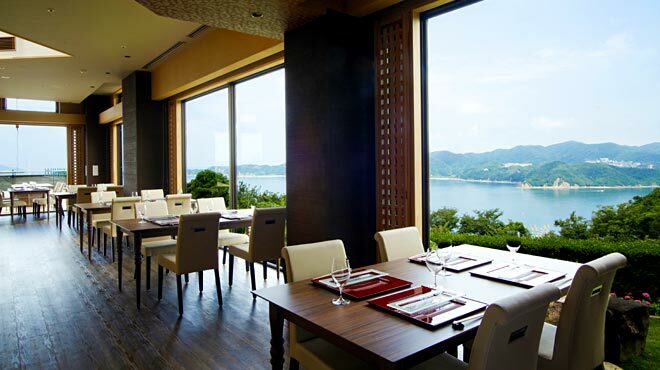 From the large, open windows of DINING -HANAGIRI-, guests can feast their eyes on the Naruto Strait while tucking into an exceptional meal. 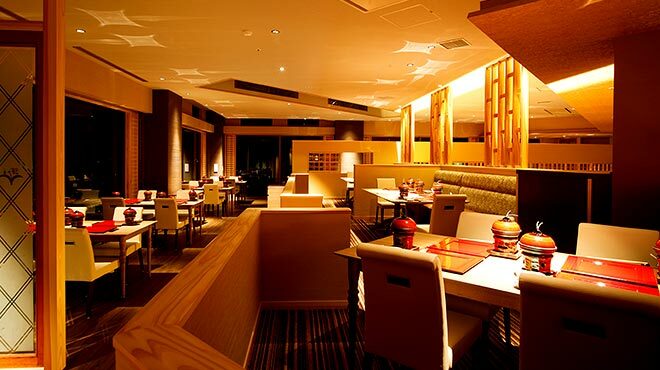 If you`re looking for a bit more entertainment, brick-edifice KARAKU may be more your style, with its performer-chefs making your meal before your very eyes. 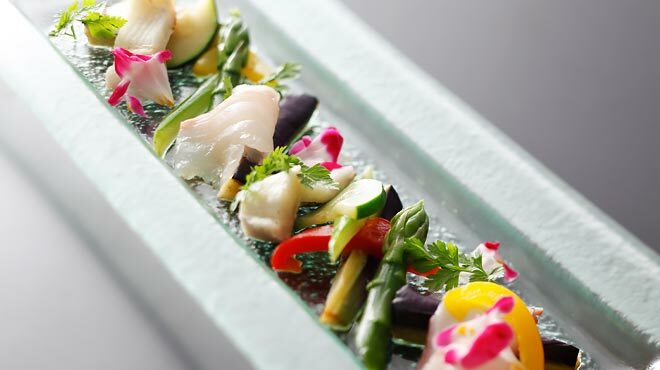 Chefs at both restaurants create Japanese dishes with a French twist, and neither restaurant is a dining experience to be missed. The best start to a good day is a good breakfast. With over 40 different dishes in both Japanese and Western styles, our sumptuous morning buffet has something to delight every guest. For guests to get the most out of their stay with us, we have several facilities to enhance their experience. Enjoy the different views from the terrace, guest rooms, and bath; each one showcases a different charm that can only be found at Plaza Awajishima. Unwind and enjoy island life with the view and a nice cup of tea. 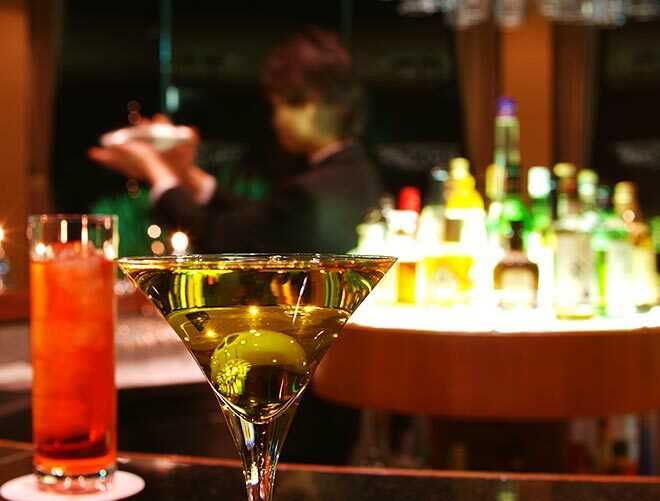 Have a drink and some quiet time in the tranquil bar. Perfect for aperitifs at sunset! Enjoy the same beautifying waters as the main bath in this smaller private bath available by reservation. Good for families and couples! 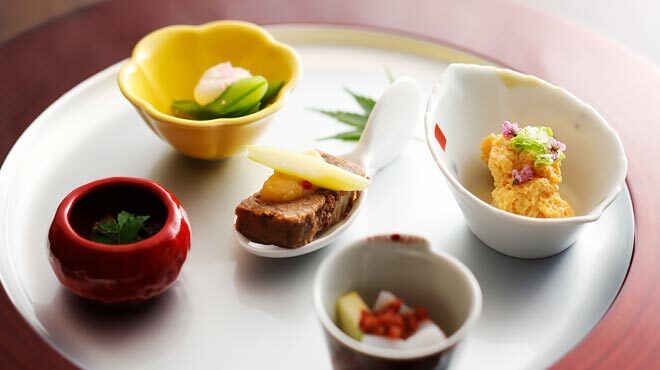 Dining -HANAGIRI- would fit right in even with the highest-class establishments in Tokyo with its fine cuisine and culinary presentation. 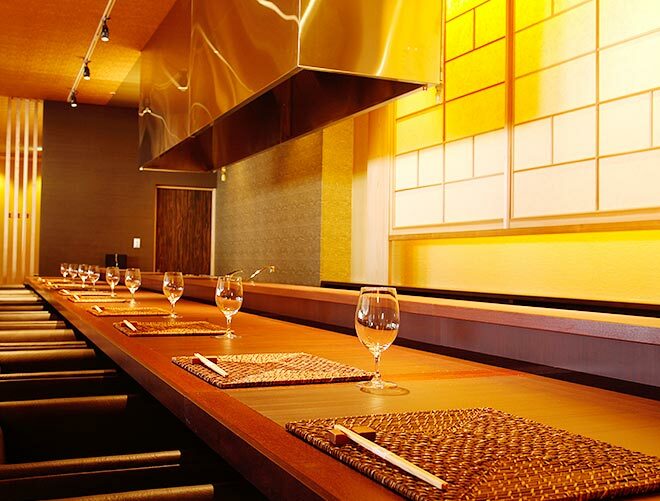 Both Japanese and Western dishes are prepared before guests` eyes here at Karaku, and served immediately for the freshest, closest dining experience. 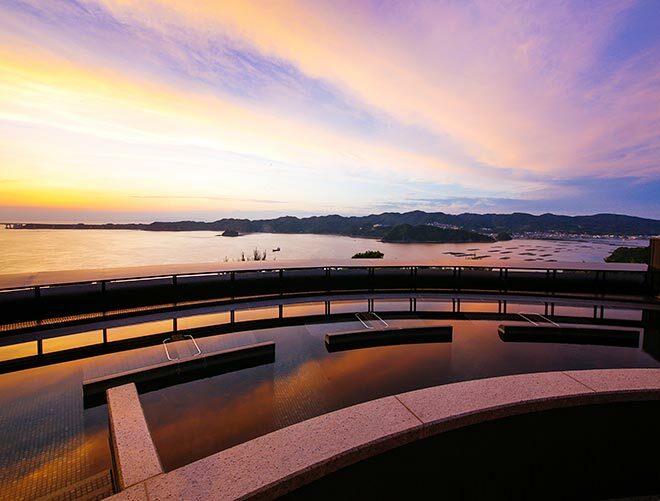 With unparalleled views of the Naruto Strait and Onaruto Bridge, this wide outdoor terrace is the perfect spot to take a few pictures and enjoy the view. Yubae no Yu is the pride of the Ama area`s Shiozaki Onsen, with its beneficial and gentle waters imparting a healthy glow. 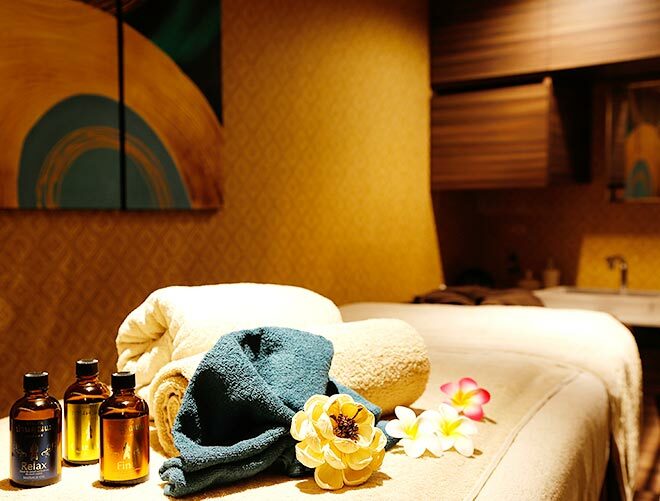 Professional spa therapists specialize in Asian-style relaxation, massage, and aesthetic treatments. 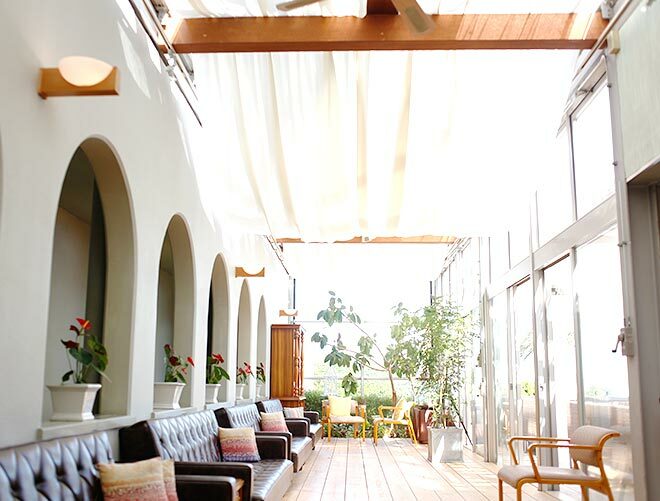 The Sunroom is a bright, light-filled space set with comfy sofas for lounging. 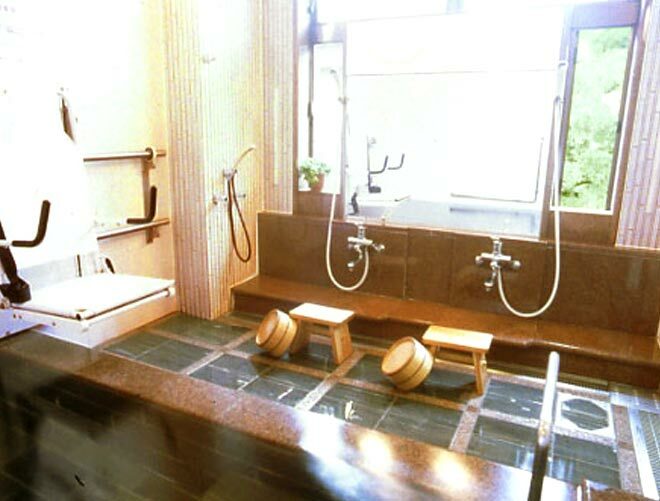 The perfect place to meet up after a relaxing dip in the onsen. 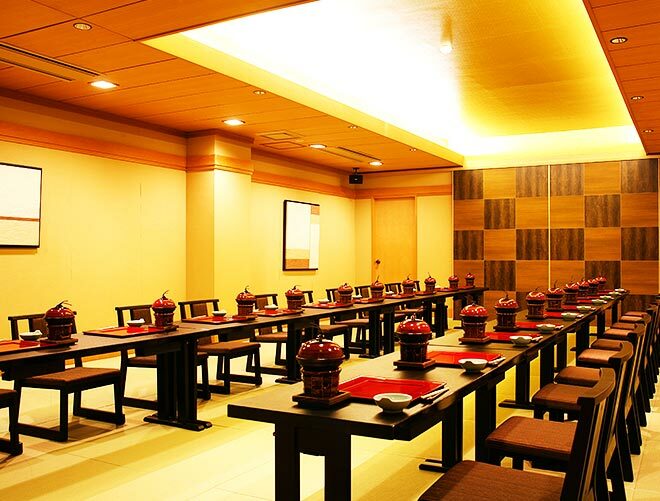 The Banquet Hall, with a capacity of up to 400 people, can be used for a wide variety of parties and events. We have introduced a wind-power generator system here just for Plaza Awajishima. 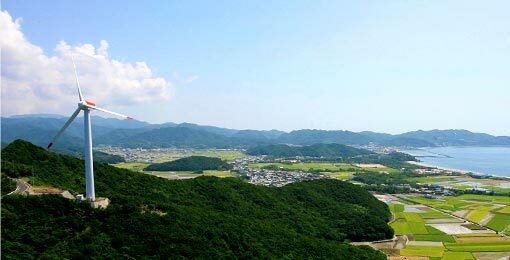 Built on stately Mount Omiyama, the majestic turbines can be seen up close from the hotel. Plaza Awajishima, built on a cape overlooking the picturesque Onaruto Bridge, is conveniently accessible from both Shikoku and Kansai. Depending on the navigation system, using the hotel`s phone number (0799-55-2500) may bring up differing results. If ""Hotel New Awaji Plaza Awajishima"" does not appear, please use the following address. 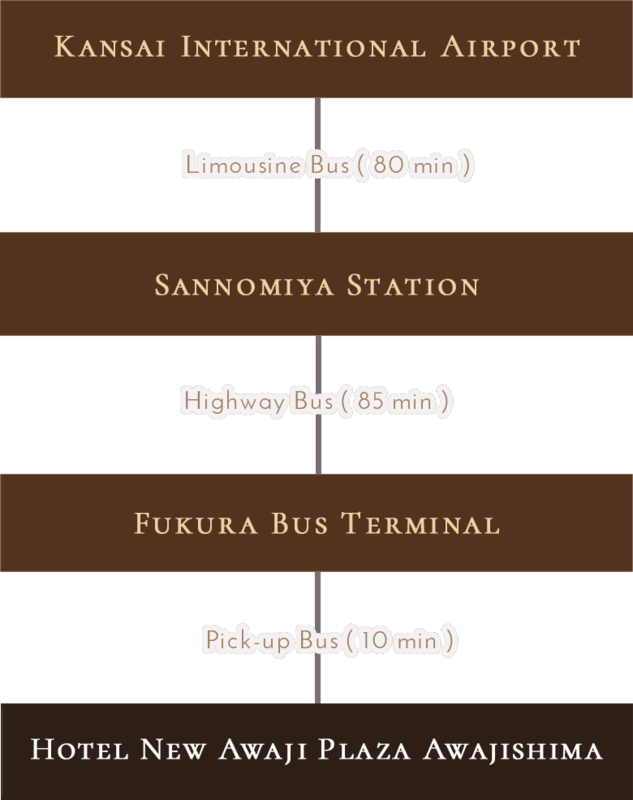 If arriving at the Fukura Bus Terminal, please call the hotel at +81-799-55-2500 upon arrival for pick-up. Please wait in the waiting area and the driver will come to the pick-up spot. 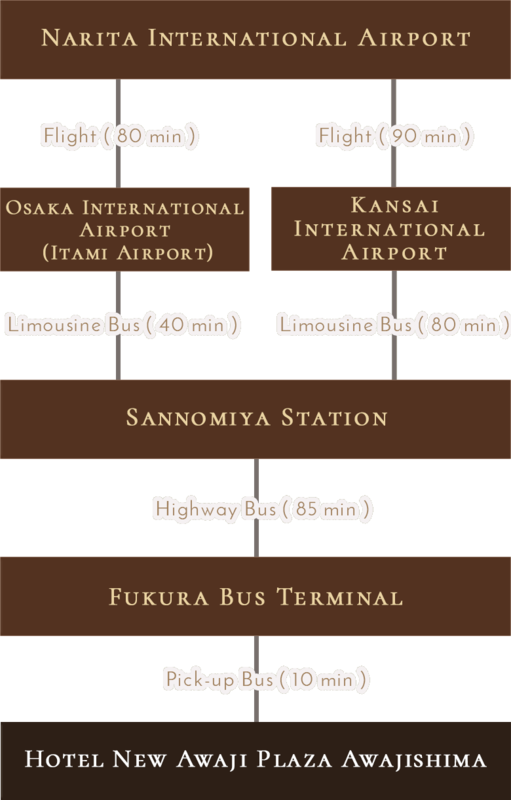 Getting to Plaza Awajishima from the major stations and aiports in the Osaka・Kobe area is easy with our exclusive contract taxi service. If you would like to use a taxi, please contact our hotel. 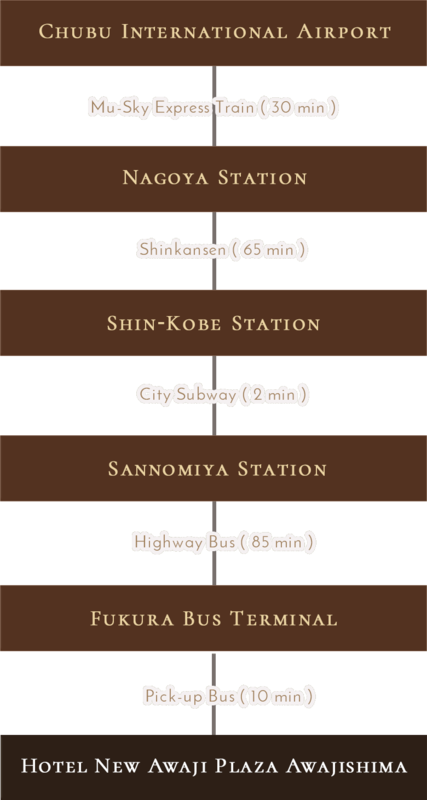 * Pick-up available at all major hotels in the Universal Studios Japan TM area as well as the main entrance. Approximate regular highway fees are calculated using rates for weekday regular rates with ETC discounts. Fees subject to change according to other discounts and times. These rates are for up to 4 passengers per taxi. Mini-vans (for up to 5 passengers) are available for an extra fee of 2,000 yen; a larger van (for up to 9 passengers) is available for an extra 5,000 yen. * Baggage will affect how many passengers can fit in the taxis; guests will be asked about how many bags they will be riding with at the time of taxi reservation. If departing from the hotel, please make reservations at least 4 hours in advance. If departing from one of the above areas, please make reservations at least 2 hours in advance. When reserving a pick-up from an airport, please give notice of flight details such as airline company, flight number, and arrival time. Cancellation fees are assessed for cancellations made after 5pm the day before pick-up (50% of total fee) or same-day/8 hours or less before pick-up (100% of fee). * About 【Holiday Season】 This policy applies only to reservations made for the following periods: 12/31-1/2, 5/3-5/5, 8/12-8/15. 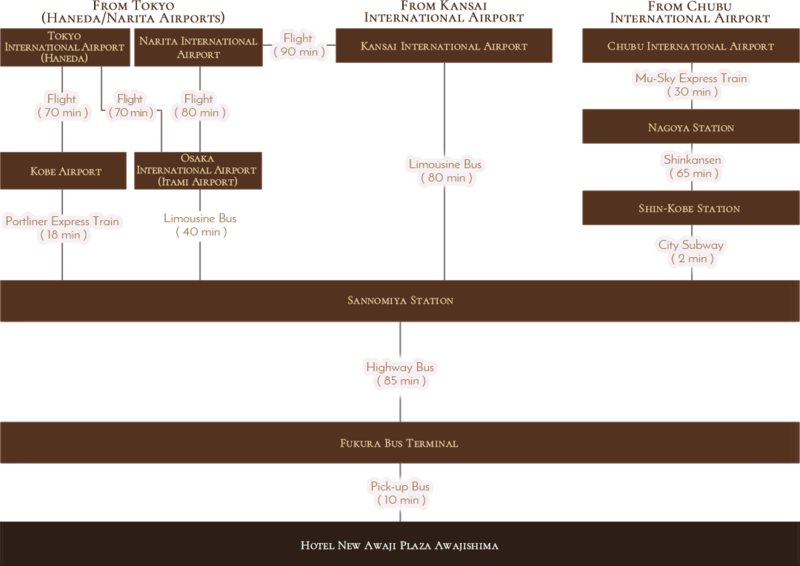 * Reservations made for any other periods are subject to cancellation fees from 3 days before reservation date. * Some stay plans have special cancellation policies, so those will take priority over the general cancellation policy. * Currency exchange not available. * Some stay plans are only available through cash payment. Please read each plans description and details carefully. Amafukiage-machi 1433-2 Minami Awaji-shi Hyogo-ken. © 2017-2018 PLAZA AWAJISHIMA. All Rights Reserved.